There are currently no Delton Kellogg notable alumni listed. Be the first to add an DKHS famous alumni. Create a Delton Kellogg High School memorial for an individual alum that has passed away. There are currently no memorials for Delton Kellogg alumni. 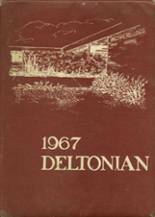 The alumni of Delton Kellogg in Delton, Michigan are encouraged to use this site to relive their time in high school by sharing with former students and teachers of Delton Kellogg High School. 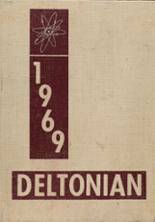 If you are a Delton Kellogg alumn, we encourage you to register and be sure to sign up for the alumni newsletter. We also encourage you to keep up to date on news and reconnect with Delton Kellogg High School alumni. Jesse Bolt has someone searching for them. Nicholas Johnson has someone searching for them. Nick Palumbo has someone searching for them. Leslie Storteboom has someone searching for them. Roger Reed registered as a DKHS Class of 1976 alumni. Roger Reed added photos to their personal photo gallery. Roger Reed updated his profile picture. Samantha Darrow Berens registered as a DKHS Class of 2008 alumni. Samantha Darrow Berens added photos to their personal photo gallery. Samantha Darrow Berens updated her profile picture.